The European Federation of Periodontology (EFP) is composed of 24 full member and 5 associated societies. This year the triennial scientific congress, EuroPerio 8, was held at London's ExCel from 3 - 6 June 2015. The leading periodontists and researchers shared current paradigms and future direction to the largest audience to ever attend this congress. 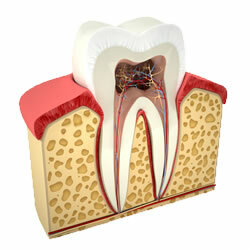 Ever wonder how periodontitis impacts the patient? Congratulations to the British Society of Periodontology and the British Society of Dental Hygiene and Therapy for their efforts to make this meeting a success. Click here to see the latest video trailer for Cell to Cell Communication - The links between Periodontitis Atherosclerosis and Diabetes. Also available in this series is Osseointegration and Inflammation. Biofilm control remains a goal of oral hygiene and periodontal maintenance but researchers are finding that it may be more important to measure the balance between good and bad bacteria. Biofilms are resistent to antibiotics and possess the ability to protect themselves from trauma. Dysbiosis refers to microbial imbalance on or inside the body. When the microbial flora is out of balance it is an opportunity for pathogenic bacteria to take over. New research is looking at treatment to 'keep the balance' with studies looking at the efficacy of probiotics and paying less attention to specific microorganisms. The paradigm shift to an ecological and microbial community-based approach is at the early stages of research in oral health. However, probiotics are often used to promote gastrointestinal health. Proteomics: using protein profiles to identify biomarkers for periodontal disease and understand changes occurring within the oral microorganisms as they adapt to change in the mouth. Anticytokine Therapy: primarily targets TNF-alpha, IL-1Beta and IL-6 proinflammatory cytokines. These are known for their initiation of inflammatory immune reactions and are produced for prolonged periods of time leading to bone resorption. 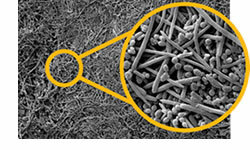 Proresolving Nanomedicines: tissue-engineering approach to treating periodontitis. Early studies in animals show impact on osteoclast and osteoblast function and bone regeneration. Waterpik International was on hand to meet the 9,500 delegates from 127 countries. Delegates were informed of the clinically proven benefits and shown a short presentation. Many were impressed with the number and quality of research on the Water Flosser. It was of special interest to see the host response data as it supports the transition from treating locally to impacting the inflammatory process. Cutler showed a reduction of pro-inflammatory cytokines in the GCF and Al-Mubarak showed a reduction in serum. For more information on Water Flosser products go to www.waterpik.co.uk.